Reignite your youthful glow with the Boots No.7 Protect and Perfect Intense Advanced Duo, an anti-aging day cream and serum which work in harmony to smooth wrinkles, firm skin and create a radiant complexion. The rich moisturizer effortlessly massages into skin, enveloping the visage in a veil of instant and long-lasting moisture. Utilizing concentrated peptide Matrixyl 3000 Plus™, the potent formula works to reduce the appearance of deep lines and wrinkles whilst combating loss of elasticity to leave the face firmer and more supple in appearance. Complete with SPF30, the luxurious day cream utilises broad spectrum protection to protect skin from future signs of aging. Harnessing the power of No.7’s Matrixyl 3000 Plus technology, the silky serum is able to combat loss of elasticity, while reducing the appearance of fine lines and wrinkles. 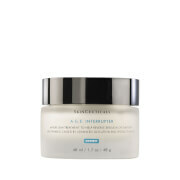 This helps to leave the visage smooth and visibly firm. 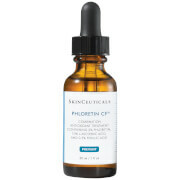 The intense formula also boasts a patented antioxidant complex, which shields skin from future signs of aging. 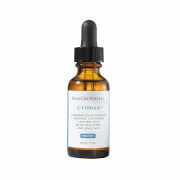 Effortlessly smoothing over the face, the Intense Advanced Serum guarantees a younger looking visage with continued use. Day Cream: Aqua (Water), C12-15 Alkyl Benzoate, Glycerin, Alcohol Denat., Cetearyl Glucoside, Cyclopentasiloxane, Dimethicone, Cyclohexasiloxane, Tribehenin, Cetearyl Alcohol, Methyl Methacrylate Cross-Polymer, Ammonium Acryloyldimethyltaurate/VP Copolymer, Phenoxyethanol, Tocopheryl Acetate, Potassium Cetyl Phosphate, Dimethiconol, Parfum (Fragrance), Methylparaben, Ethylparaben, Sodium PCA, Xanthan Gum, Alcohol, Zinc PCA, Ascorbyl Glucoside, Tetrasodium EDTA, Magnesium PCA, T-Butyl Alcohol, Dipropylene Glycol, Hamamelis Virginiana (Witch Hazel) Water, Potassium Hydroxide, Manganese PCA, Simethicone, Potassium Sorbate. Serum: Dimethicone, Aqua (Water), Glycerin, Dimethicone Crosspolymer, Butylene Glycol, Sodium Ascorbyl Phosphate, PEG/PPG-18/18 Dimethicone, Magnesium Sulfate, Phenoxyethanol, Cetyl PEG/PPG-10/1 Dimethicone, Polyglyceryl-4 Isostearate, Hexyl Laurate, Retinyl Palmitate, Hydrolyzed Rice Protein, Propylene Glycol, Tocopheryl Acetate, Sorbitan Laurate, Sodium Hyaluronate, Methylparaben, Carbomer, Ethylparaben, Medicago Sativa (Alfalfa) Extract, Polysorbate 20, Hydroxyethylcellulose, Panax Ginseng Root Extract, Morus Alba Leaf Extract, Sodium Benzoate, Acetyl Dipeptide-1 Cetyl Ester, Tocopherol, Ethylhexylglycerin, Palmitoyl Oligopeptide, Palmitoyl Tetrapeptide-7.